With over 50 years of combined experience, the owners and operators of Fun 4 All Pet Resort, Len and Carol Hoare, have a wealth of experience providing quality care for dogs and cats. From grooming, training, socializing and breeding dogs, this has given them the ability to understand each pet’s needs. The professionally trained Team Members at Fun 4 All Pet Resort are certified in Pet First Aid for that extra peace of mind. Amber is Manager at Fun 4 All Pet Resort where she has worked for over 2 years. Amber has also groomed for 5 years but is slowing down with grooming as she takes on more management tasks at the resort. 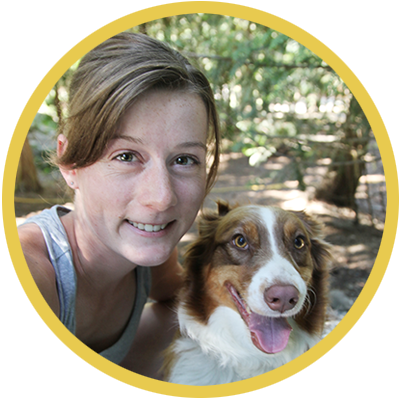 She is also a Certified Raw Dog Food Specialist and can help with your dog's nutritional needs. She enjoys snowboarding, hiking, and camping in the great outdoors with her dog Aspen and husband Mike. Amber moved to BC in 2012 from Kingston, Ontario. 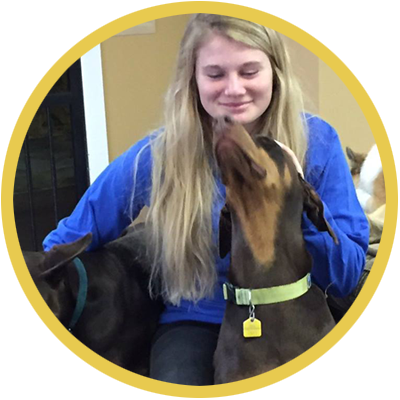 Landen is friendly, outgoing, and fabulous with the dogs and clients. 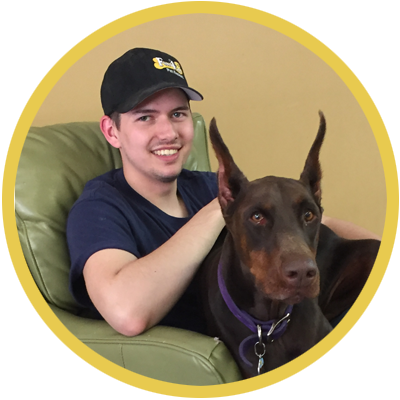 He grew up on a farm in Armstrong with dogs, cats, horses, goats, and other 4-legged friends, and his mom is an obedience trainer, so he has tons of experience working with animals. Landen is a member of the Canadian Search and Disaster Dog Association (Search and Rescue). His dog Zena, a German Shepherd, has passed her first phase of training. Previously Landen played 4 years of Junior B hockey as a goalie. He also enjoys playing guitar. Lexii has a Lab named Chloe and a horse named Tango. She enjoys barrel racing and riding her horse. Lexii has a bubbly personality and loves the doggy play at Fun 4 All. She moved to the Okanagan from Edmonton in 2015. 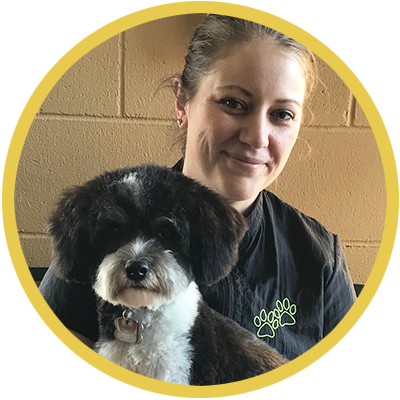 Arianna joins us with two years of experience grooming dogs. She has a dog name Jazzy, a lab mix, and Mimzy the cat. She enjoys reading, painting, being in nature, music and of course DOGS! 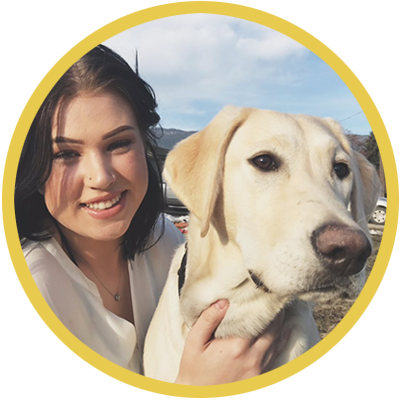 Arianna moved to Okanagan in August 2015 from New Brunsick. Jenn was born in Alberta and moved to the Okanagan in 2006. She has a 2 year old rescued Aussie named Hazel. Jenn does obedience training with The Ruff Life and makes Paracord Leashes & Collars. She is also an avid hiker/camper, amature rock climber, and photographer (Photo Sphere Photography). Sheyna has two dogs - Nova, a Border Collie, and Kuro, a Border Collie mix. Sheyna was our first employee who has now been with us for 3 years. She will be attending UBCO in the fall of 2018 with a interest in Veterinary Medicine. She enjoys paddle boarding, camping, hiking and traveling. Destiny has known her whole life she wanted to work with animals. She has a three year old Bichon Havanese, Rosie, with whom she shares many walks and snuggles. In her free time, she is usually found watching movies or Game of Thrones. She also enjoys spending time with her boyfriend, playing games, reading, and hiking. Summer has grown up in Vernon on an apple orchard. She has a Miniature Pinscher named Maggie. Summer has played goalie on her soccer team for 7 years. In her free time she enjoys being outdoors, going paddle boarding, hiking, fishing, swimming and skiing. 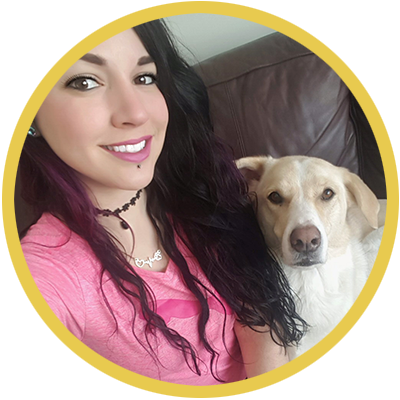 Lindsey's work with dogs started in Calgary in 2010 as a dog walker, from then on she was hooked. 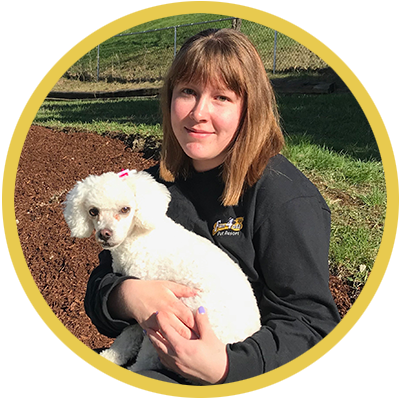 She moved on to a position as a doggie daycare attendant where she learned how to handle and read dogs and her passion grew for the dog industry. She soon found herself in the grooming area every chance she got, becoming fascinated with the art of dog grooming. In 2012 she took a course with a master groomer to start her career. Lindsey's and her husband moved to the Okanagan in 2016 to fuel their passion for the outdoors and to raise their newborn son in an active environment including hiking, swimming, camping and snowboarding. Sandi has been grooming for over 7 years. She is also a mother of 3, and has bred and showed American Bully's for 15 years. She currently has an elder American Bully and a Bengal cat. Sandi moved to the Okanagan from the lower mainland at the end of 2018. She enjoys spending time outdoors, hiking with her fiance and dog, horse back riding and camping with the family. We love animals so we believe it's important to give back to help our furry friends whenever we can. We have a raffle each Christmas with proceeds going to ﻿Paws It Forward﻿, a non-profit dog rescue in Kelowna. We're also excited to support the Pet Soup Kitchen of Vernon, BC. The Pet Soup Kitchen helps low-income families provide necessary food and supplies for their pets.